It’s no secret that we here at The Urban List love food. All the food. Sweet, salty, sour...we don’t care, we want it all! And, while it’s wonderful to eat out at all the fabulous cafes and restaurants that Auckland has to offer, we also know we can’t do it breakfast, lunch and dinner, seven days a week. But, let’s be real...cooking can be bloody hard. While some people seem to take to cutting veges and creating meals that look like works of art, others need a little helping hand. And so, with this in mind, we’ve found eight things to help you on your merry cooking way. MKR, here you come! Forget about those boring salads—a good dressing is where it’s at. 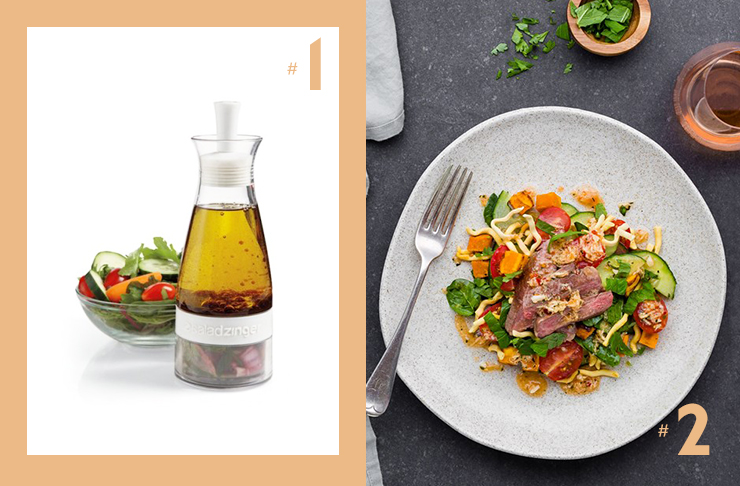 There’s no need to rely on your local supermarket, because with the salad zinger, you can create delicious dressings, flavoured oils, vinegars and marinades really, really easily. If you’re really, totally serious about upping your cooking skills, then My Food Bag is the way to go. Fresh food is delivered right to your door (there are plenty of options for the number of nights, pricing and skill) with recipes. But the best thing about My Food Bag is not the ease of use but that it actually teaches you how to cook. That’s right, the instructions are so precise and detailed that you’ll create dishes you never thought yourself capable of—we promise you’ll be ‘Gramming up a storm. 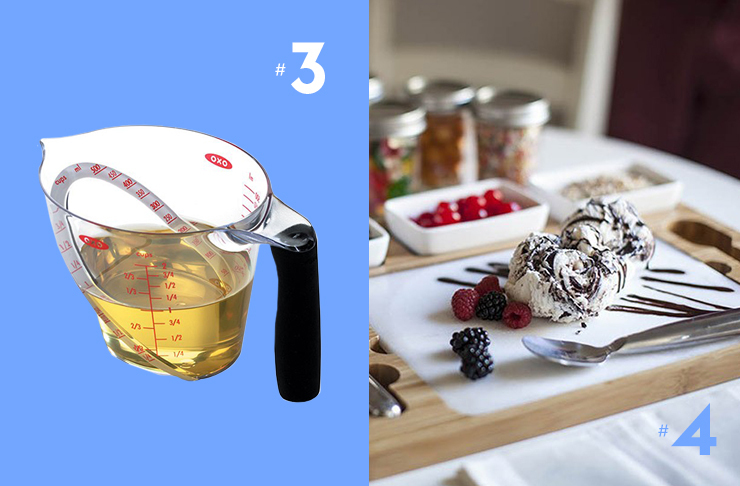 If you’re one of those people who find it difficult to do all the measuring required in a good meal, then the OXO GG Angled Measuring Cup is for you. Instead of trying to balance the ingredients while simultaneously stirring something on the stove, all you need to do is look down! With its angled surface, you can find out if you’ve got it right without all the filling, checking and adjusting you normally have to do. Half of the appeal of a good dessert is how it’s presented, and this is where the Parlour Ice Cream Mixing Set steps in. Invite guests over, and set this marble beauty up on the table and they’ll be so excited by what you create that they’ll forget that it’s really just ice cream and sprinkles. Spend hours chopping up those herbs, only to have them crush into weird looking pieces? Introducing Kilo Herb Scissors. 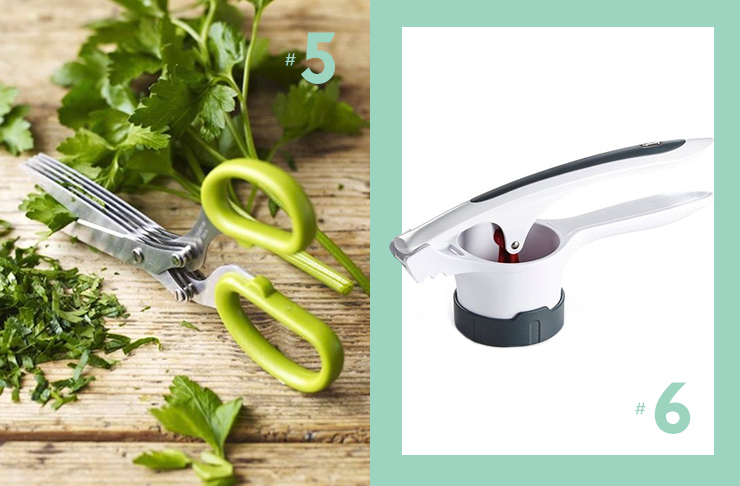 With five blades to cut up your herbs, you’ll have those dishes looking and tasting beautiful in no time! There’s nothing that screams comfort food more than mashed potatoes. But, so often it ends up lumpy and kinda gross. Never fear, because this is where the Zyliss Potato Ricer steps in. Just pop those (cooked) spuds in a bowl and whiz them to perfection. Even better, it can be used for all sorts of veges or even to make fruit coulis. Yum. 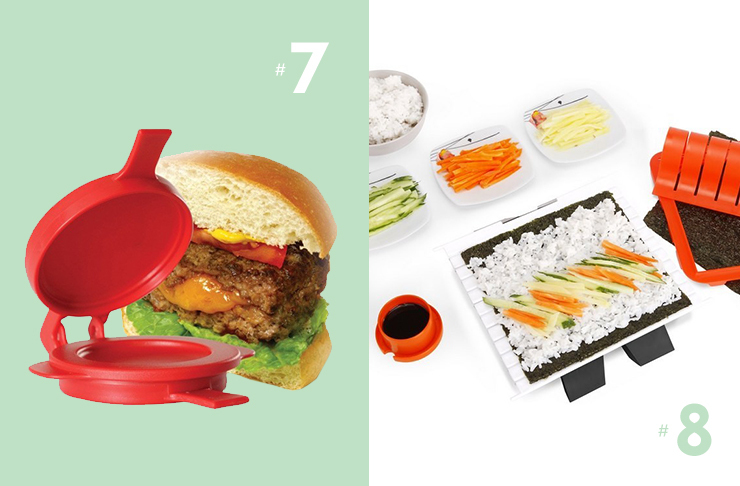 Take your homemade burgers next level with the BBQ Burger Stuffer. This little gem allows you to stuff your burger patties with anything your heart desires—cheese, bacon, mushroom, herb. Biting down has never tasted so good. If you believe that some sushi a day keeps the doctor away, then it’s time to up your game and start making it yourself! If you’ve tried to do so before but found that your efforts resulted in crushed oblong failures, then it’s time to try the Sushifast Premium Sushi Making Kit! This little beauty will have you making perfectly rolled sushi in no time at all.